Investing money and time into your property is not only great when it comes to selling but can also increase your quality of life. We can often outgrow our homes sooner than we would like to, but if you don’t want to sell and move on, you can increase the space in your home whilst also adding value. Majorly transforming your home by building an extension or converting your loft can take a lot of time as well as money but can, provide value for money and add value to your home. There are many other ways to enhance your property, so we have taken a look at five ways to add space and value to your home. When potential buyers are searching for a home to purchase, one of the items often at the top of their lists is parking. If you have unused space at the front of your house, it may be worth looking into converting that space into a place to off-road park. Depending on the surface, this can be a cost-efficient way to add value to your home, as well as becoming more convenient for yourself. If you are looking to sell your home in the near future, it may be worth looking to see if you can get planning permission for an extension. A property which comes with planning permission usually tempts many buyers who have long-term ambitions for the property. Have some plans for the extension prepared, and once it has all been accepted, you could find yourself with a very desirable property. We have an in-depth guide on how to apply for planning permission which can be found here. 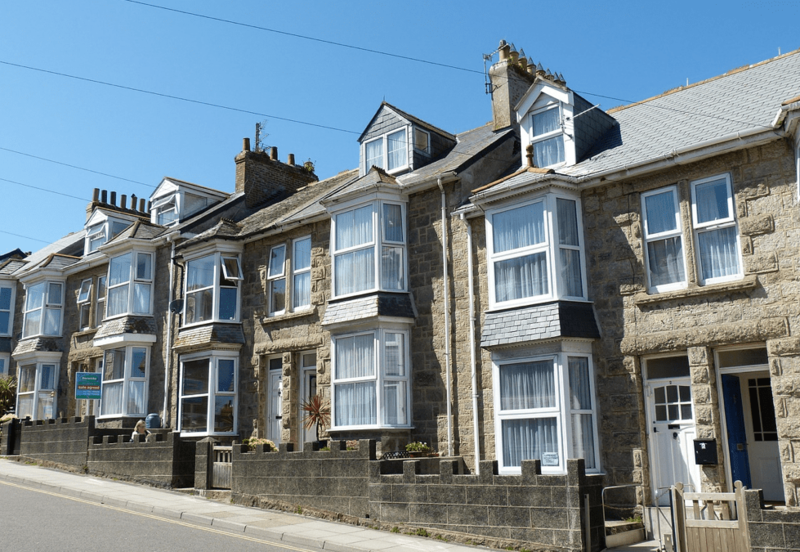 Alternatively, here at Martin Perry Associates, we can assist with your planning applications in Cornwall as well as Devon, so please do not hesitate to get in touch. Converting your loft can be extremely rewarding as it can add value and floorspace without reducing the land around your property. A well thought out loft conversion can add up 15 per cent to the value of a home in the United Kingdom, so this may be a great option. Garages often go unused or become a space where many homeowners store old belongings. This is mainly due to garages no longer being big enough to fit a vehicle in. However, this gives you the opportunity to create more space by adding a whole new room onto your home. Either convert it into a second living room, a gym, an office or even an annexe. If you are looking to sell your home, find out what buyers are looking for in the area to get an idea of what you should do with this space. Please note that these works will often require professional input in order to ensure the conversion is detailed correctly and can be signed off by Building Control. This may sound a little obvious, but a fresh lick of paint can do wonders to a room. If you keep the colour neutral, this can make a house feel clean and cared for. Additionally, choosing the right paint for your home can lighten up a room giving you an illusion of space. Whether you want to spend money on a loft conversion or are only prepared to buy a new tin of paint, there are many ways to add space and value to your home. If you have any questions regarding making changes to your home which may require planning permission, then please do not hesitate to contact us on 01579 345777.